As a kid, I panicked when asked, “What do you want to be when you grow up?” I had no idea. In high school I veered towards the humanities, in hind site due largely to my encounters with Ms. Thompson, a social studies teacher who introduced me to critical pedagogy, a tool that then and to this day has helped me to understand power, inequality and injustice and to confront oppressive circumstances. I was also always curious about the world and my place in it. What I wanted to learn about had begun to reveal itself, but the career it would lead to had not. I used the lens of “those with strong history departments” to choose my colleges. Like many underclassmen, I took courses in many disciplines trying to decide on my major. Ultimately I returned to what brought me to U.C. Berkeley and majored in intellectual history—the historiography of ideas and thinkers. I was able to appease my curiosity about the world, but still had no idea what my dream job was. After graduating, I spent several years between working in Bay Area restaurants and traveling for months at a time. I (mostly) thoroughly enjoyed working in restaurants—the friendships, being part of a foodie culture in the Bay Area, the freedom it gave me to pack up and leave for months at a time were all gratifying. Traveling—visiting old friends and making new ones, immersing myself in other cultures and languages—fed my curiosity about the world and myself. While I enjoyed this period of my life, I did not imagine I would live this lifestyle indefinitely. However, in my mid twenties, I still did not know what I wanted to be when I grew up. I met, fell in love with, and married a native Spanish speaker who had come to California from his native Venezuela at the time I was finishing my undergraduate studies. Our travels led us to Spanish speaking countries where I began to learn Spanish and met his family and friends. I returned to college to pursue a Masters in Teaching English to Speakers of Other Languages. Initially I thought I would continue to travel the world teaching English. I didn’t. I began working as an educator in the States. For the past 25 years, I have had diverse opportunities as an educator—working in public and private settings and at K-12 and university levels. I research and write. I received my Ph.D. in education. I realize now that being an educator has always been my dream job. Education was transformative for me personally as a young person. I relish in being able to pay it forward when possible. I was always curious. My career has allowed me to constantly learn and grow. While I did not think I knew what my dream job was as a child, learning has always propelled me in life, and, yes, it continues to manifest itself in my daily life. Julie Nora has worked as a bilingual educator in several K-16 educational settings for the past 25 years. She received her BA in U.S. Intellectual History (U.C. Berkeley), her Masters in Teaching English to Speakers of Other Languages (San Francisco State University), and her PhD in Education with a Specialization in Language, Literacy and Culture (University of Rhode Island/Rhode Island College). 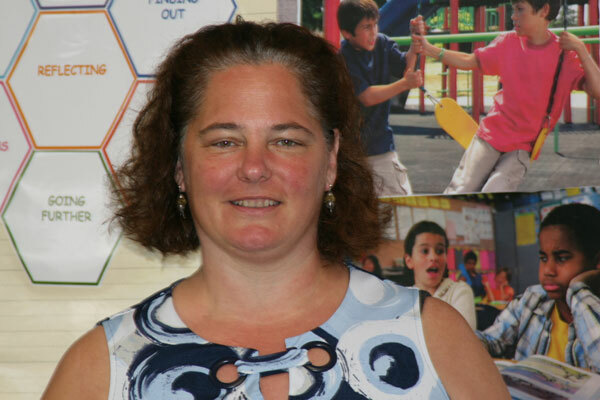 She worked with international students at an English institute at Bryant University, as a middle school English as a Second Language teacher in Providence Public Schools, as an applied researcher at the Education Alliance at Brown University, and has been the director of the International Charter School in Pawtucket since 2003. She has authored many articles and books. Seen as a resource to the state in the area of education generally and bilingual education specifically, she is regularly asked to serve on state education working groups.